A formal sign language system is another form of communication that may be appropriate for your child with hearing loss. A child that is diagnosed with a severe to profound, bilateral hearing loss and does not have a way to access sound via a cochlear implant or gain adequate benefit for speech through hearing aids may be a good candidate to learn a visual language (rather than auditory) system. At Hope Therapy Center our philosophy is that no one system of communication is appropriate for all children. This decision must be made by the family, with guidance, considering all factors in regards to their child and family dynamics. One formal sign system is American Sign Language (ASL) and it is a language that encompasses hand signs, body movements, facial expressions and gestures. It is a complete language with grammar rules that are different from English and has no written form. Another sign system is Signing Exact English (SEE) which uses signs to represent words or phrases in the English language. Signed English is designed to enhance the use of both spoken and written English. It is currently the chosen communication system of the local Regional Day School Program for the Deaf (RDSPD). The following quote was provided by Rebecca Villarreal, Supervisor at the RDSPD in McAllen. 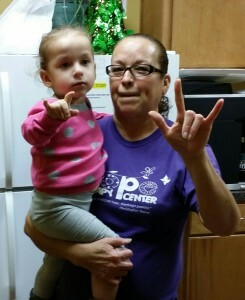 The RDSPD currently holds a sign language class at Hope Therapy Center where a teacher from the school instructs the class in communication via Signing Exact English. The classes are held once a week and follow the calendar of the McAllen School District. 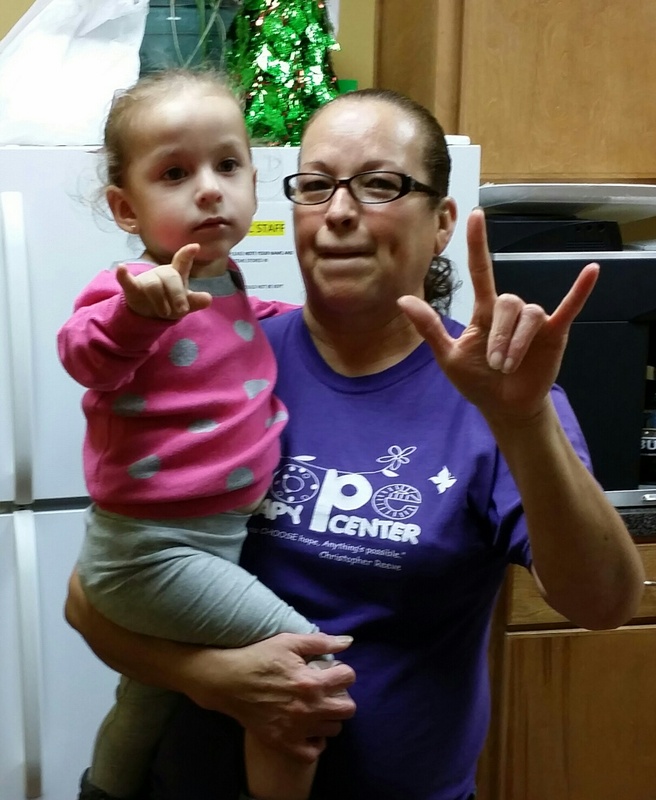 At Hope Therapy Center we have many families that incorporate formal sign language into their everyday communication lives. We respect all communication choices. Our therapists are proficient in communicating through sign language and are growing their skills every day.